Rubiked is a remarkable piece of technology built into a humble Rubik's Cube. You have someone freely mix up a cube and stop wherever they want. You open up your phone and go to the photos folder. The last photo you took was a picture of a cube in EXACTLY the combination they mixed it into. 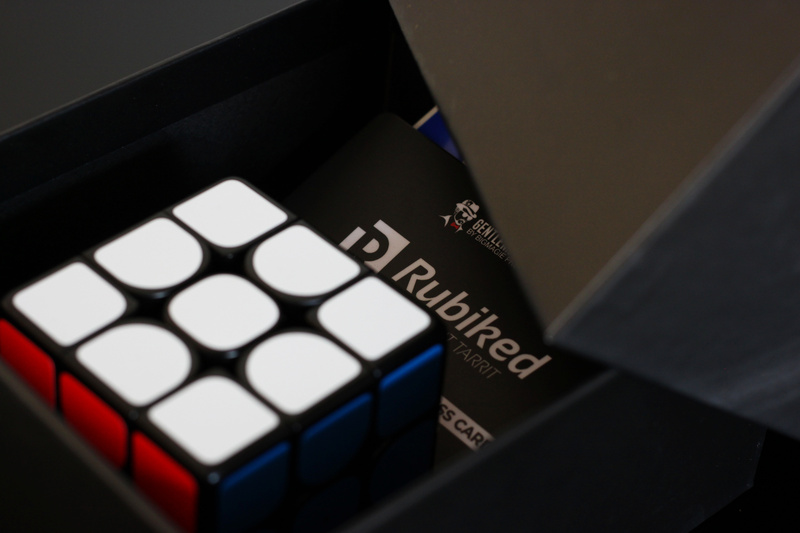 Rubiked uses a special motion sensor which transmits each move to a chip integrated within the central cube axis. Combined with a recognition algorithm, the cube calculates the exact position of each face and transmits it immediately to the app, with no delay, thanks to Bluetooth technology. Watch the trailer to see how responsive this technology is! You do not need to rely on the internet. Since Rubiked uses Bluetooth, you do not need to have internet to perform with it. Of course, if you do have internet, you can have the image predicted on your website! With its user-friendly interface, compatible both iOS and Android, the Rubiked app allows you to adapt the effect to your own needs. Simple to use, you'll be guided step by step through an in-app guide and a 30-minute instructional video. 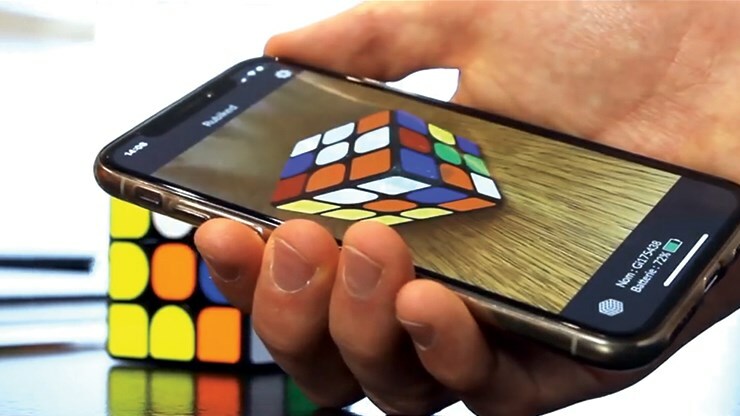 Within just a few minutes, you will be able to use Rubiked with ease. 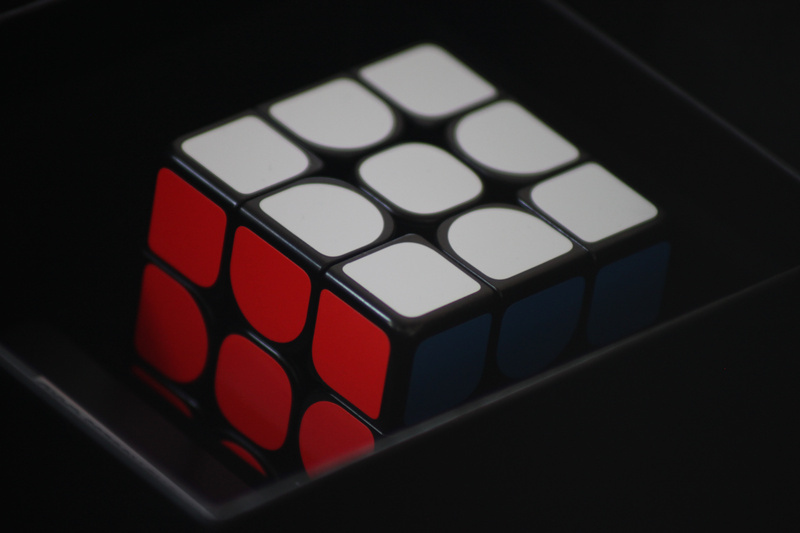 As well as a host of extra ideas, including a hands off presentation, you are supplied with all of the extra paraphernalia you might need to customize your cube. Crucially, for you cube enthusiasts out there, you get a set of regular color stickers included. Compatible iOS (Apple / iPhone) and Android (Samsung, HTC, Huawei etc.). You do not need to know how to solve a Rubik's for this effect! Miguel asks: The description says that with internet the prediction shows on our website. Does this include social media like FaceBook and Instagram? 1. Vincent answers: Hello i'm Vincent. No you can't post the picture on social media but you can post a link to your website. Miguel asks: are the tv rights included? 1. Vincent answers: Hello i'm Vincent. Yes, we think that it's a great opportunitie to show the trick. Brandon asks: Is this a giiker cube and can you just buy the app only? 1. Vincent answers: Hello i'm Vincent. Not for now immediately but we think so. Stephen asks: Can the stickers be used to make the cube look like the cube used for Rubik's Dream 360 edition? And will it fit in that shell? 1. Vincent answers: Hello i'm Vincent. 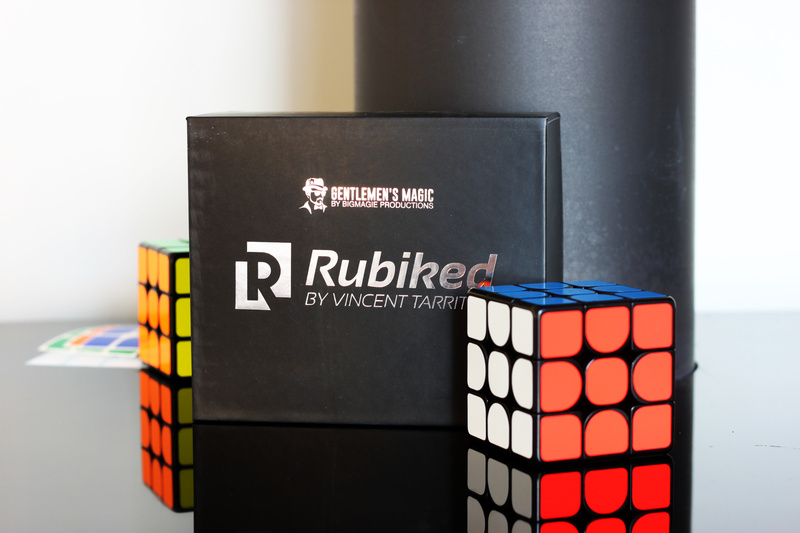 Yes, in the box you receive a set of sticker for the color "original" of a rubik's cube. Yes it's a 57mm cube it fit perfectly inside. Tim asks: Can you get a version that works with standard square stickers so it looks like other Rubik's cubes?...and the photos match? Steven asks: How do you reset the cube to all six plain faces for repeat performances? 1. Vincent answers: Hello i'm Vincent. You can use it without solve it and start with a mix cube. T.J. asks: If you send an email can it be to more than on email address? For instance you want to send it to more than one person in the group....... Also, will there ever be a possibility to customize a photo, like if I wanted a picture with the cube in the palm of my hand? 1. Vanishing Inc. Magic responds: At the moment, it is set up for one email address and one standardised photo. But I am sure that the guys at Gentleman Magic would be happy to help you with this. Alex asks: Do all these cubes have 2 holes exposed or can they be covered? Joe asks: Is there a "two-cube" version of this whereby the second cube will change itself using the same bluetooth technology to mimic the changes made to the first cube? 1. Vanishing Inc. Magic responds: There is not. But that sounds fun. T.J. asks: Can an email be sent with a prediction? Or is the revelation only in your photo library? Peter asks: Hi in relation to another question here can you just tell me where does this differ from a giiker cube. What does this have over the operation of a giiker cube model. 1. Vanishing Inc. Magic responds: The cube is much the same. What you are paying for is the trick. The Giker Cube was just the technology.